Something old, something new, something borrowed and something blue. Our latest release is atleast three of these. 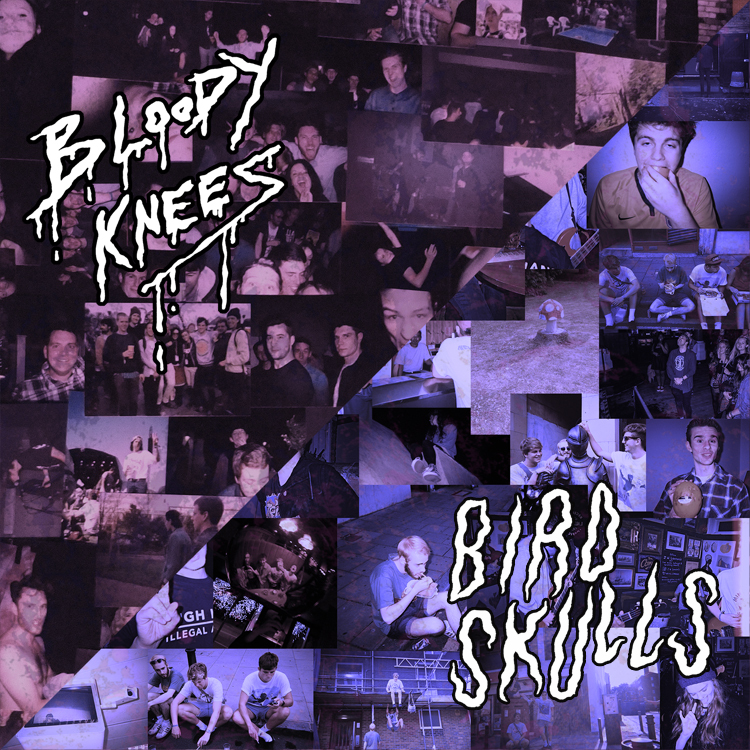 We’re delighted to be welcoming back our Exeter boys Birdskulls, excited to be extending a warm welcome to Bloody Knees and as for blue, have you seen how ruddy lovely the 7” is gonnna look!? 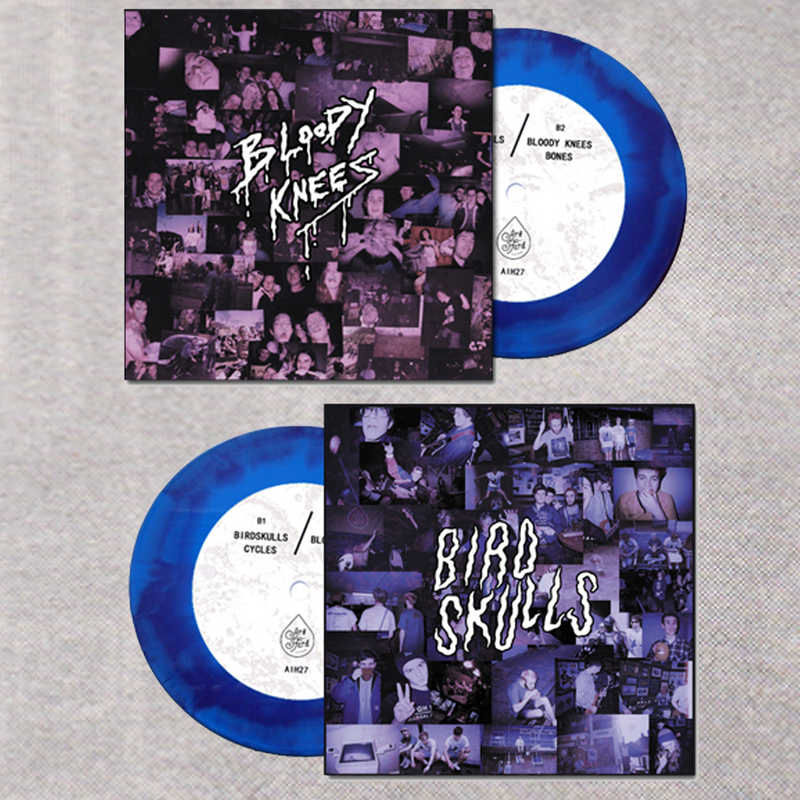 Due for release February 24th, the blue and purple marble effect 7” features two tracks from each band, double sided artwork and also comes with a hand numbered disposable photo of one of the pictures which made up the front cover. It will of course be accompanied by a download code for the full 4 track single.